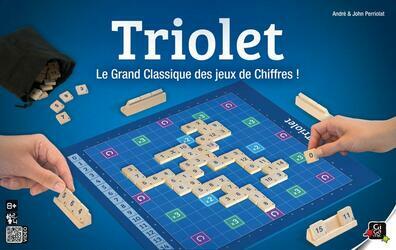 TRIOLET is a numbers game that consists of forming sets of two or three tokens that intersect on a grid. The goal is to mark each round as many points as possible by placing on the same line, one, two or three chips without their sum never exceeds 15 points. Just calculate, crisscross the numbers on the board and place them wisely on the bonus boxes to score more points!